We believe that Firestone EPDM roofing is the markets leading waterproofing system. As a fully trained Firestone EPDM Roofing installer, you can be sure that your roof will be watertight for years to come. Why do we choose Firestone EPDM for your roof? Firestone EPDM membrane is always fully adhered to the substrate, by applying RubberCover Bonding Adhesive both to the membrane and the substrate. Compatible substrates are wood, bitumen, PIR and PUR insulation, concrete, aluminium and zinc. Firestone EPDM Roofing membranes can be installed on both new and existing roofs. 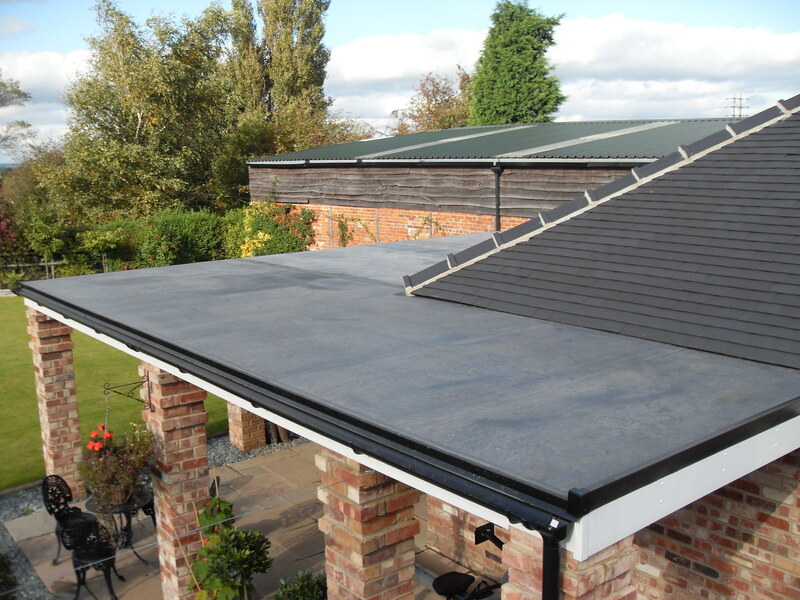 Firestone EPDM can overlay virtually any old roof provided the roof decking is sound and the existing structure can carry the load of the new flat roofing system. Want to see how Firestone EPDM Roofing works? Firestone EPDM Roofing Membranes offer unmatched resistance to ozone, UV radiation and high or low temperatures. They have a life expectancy of up to 50 years and come with a 20 year guarantee upon installation by us. Over a billion of square metres of roof installations worldwide are a testimony of Firestone EPDM roofing membrane’s proven performance. Firestone EPDM roofing membranes are available in large, seamless sheets up to 6.10 metres in width. Most small residential roofs can therefore be covered with one single sheet without any field seaming. Firestone EPDM roofing membranes require little to no maintenance after installation. This feature, in combination with the membranes inherent durability and competitive installation cost, results in a very low life cycle cost. Firestone EPDM roofing membranes remain highly flexible even at low temperatures, enabling year round installation. The membrane can also elongate over 300% to accommodate building movements. Environmentally friendly Firestone RubberCover EPDM is an inert material with limited environmental impact, both during manufacture and installation. In addition, Firestone’s EPDM manufacturing facilities have received ISO 14001 certification for their environmental management system.